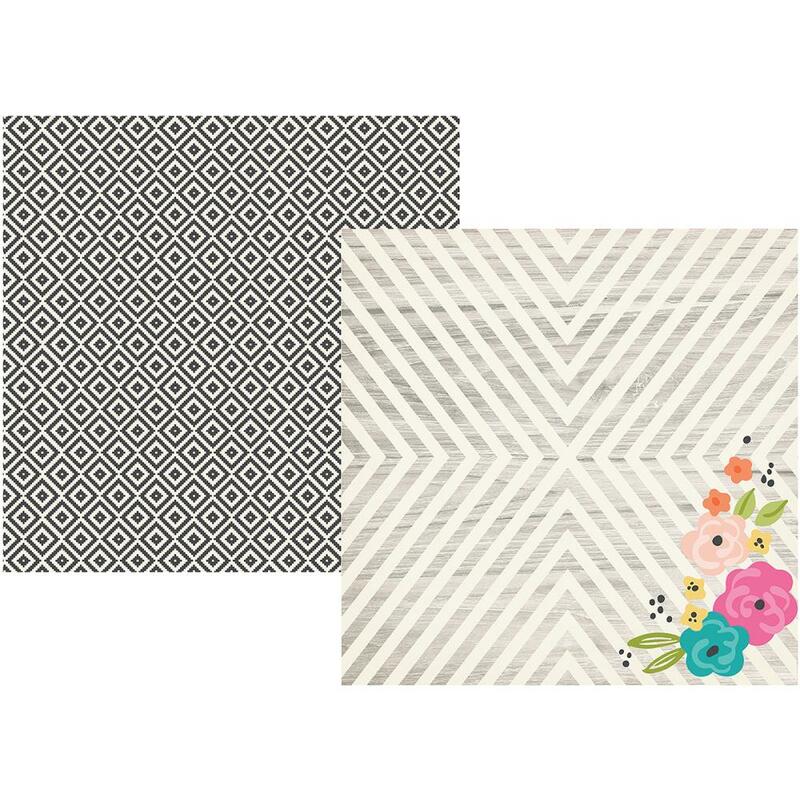 This 12x12 double sided paper has a diagonal Wood Stripe that is accented with a Floral on the frontside. The reverse side has a Tribal Pattern in Black & White. Part of the Good Vibes Collection by Simple Stories. Look for coordinating Bits & Pieces, 12x12 Sticker Sheet, ChipBoard Elements, 4"x 6" Sticker Sheet and a variety of 12x12 Designer Papers.